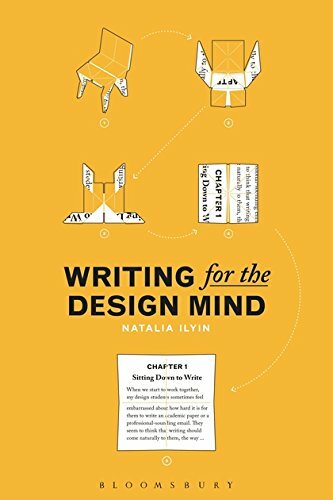 In Writing for the Design Mind author, designer and educator Natalia Ilyin offers clear, concise, and humorous writing tips, techniques and strategies to people who have spent their lives mastering design rather than learning to write. Ilyin’s book helps designers approach writing in the same ways they approach designing – teaching skills and methods through encouragement, practical exercises and visual advice. Writing well is a skill, like any other, and with this book you can learn to do it with confidence.